In 2008, Richie McDonald – longtime lead singer of the group Lonestar parted ways with the group to concentrate on a solo career. Though the band pressed on with Cody Collins taking over the main vocals, McDonald's return in 2011 gave the band a well-needed shot in the arm. "It's been great," member Michael Britt tells Billboard. "It feels like things are back to normal. It was a little bit different having Cody in the band. You do what you have to do to keep the ball rolling, but as soon as Richie came back, it felt like a comfortable pair of boots." The synergy that McDonald, Britt, Keech Rainwater, and Dean Sams have together is something that Britt says cannot be underestimated. "We spent so many years playing together that he always knows what we are going to do, and we can tell what he is about to do. So, there's a comfort zone in that you know what the other guy is thinking." In addition to the group chemistry, the fans have been pleased since the return of McDonald, as well. "They love it," says Britt. "They're just happy to have Lonestar back the way they have wanted it all along. When they hear 'Amazed' and all the hits, it just sounds right." 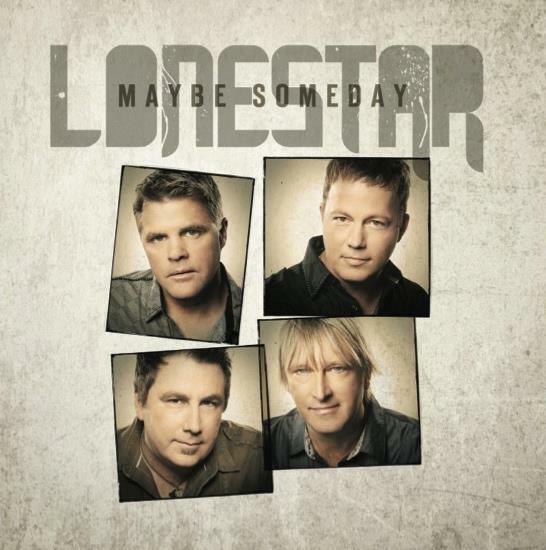 Lonestar released a new album, "Life As We Know It," last June, and recently dropped "Pretty Good Day" as a single. "We thought it would be a good springtime single. It's all about appreciating what you have, and looking at the bright side of things rather than the dark side." The band kicked off their 2014 tour last week in Scottsdale, AZ – one that features a unique twist. Instead of touring with a full band - this tour features just the four members in an acoustic setting. Britt allowed that fans will see a different side of Lonestar. "Most of our live band shows is a rockin' kind of thing. We like to come out and play great songs with a lot of power, but the acoustic shows are a little more relaxed. We don't bang bang through the set list as much, and we'll talk a little bit more. It's basically letting the fans in and see who we are, playing the hits, and hearing the vocal things we do that get covered up sometimes. It's a cool thing for us, because you play the same songs for years, and you get to do them in a slightly different way, so that's what this tour does for us." When asked which songs make the jump to an acoustic arrangement better than others, Britt said "A song like 'Everything's Changed' is one where you can hear the difference. Doing it with a full band sounds good, but sometimes when you strip it down and play it a touch slower, it gives the lyrics a new feel to it." Billboard asked Britt to reflect upon one of the highlights of the band's two decade-plus history together, and he didn't miss a beat. "When 'I'm Already There' came out, it was latched onto by the military, and we did several shows for them. There was one in particular, on the Harry Truman Aircraft Carrier in Miami. We did a show with Celine Dion, Marc Anthony, and a lot of big pop stars, which was kind of outside of the normal realm of things that we do, but when you're playing on an aircraft carrier at night, there's a F-14 taking off right above you, and the whole deck was full of military people. It was a very special night, one of those things that you never imagine happening to you, but it was a really cool experience."